Have you just Moved to Benidorm? Looking for work, or already have work lined up and have been told you need a Benidorm NIE Number? Maybe your moving to Benidorm soon? Get your Benidorm NIE Number Today! Your NIE Number (Número de Identificación de Extranjero) is your Spanish tax identification number given by the Spanish Police to any foreigner. Your Spanish NIE number will start with a letter, followed by seven numbers and another letter in the end (an example of how a NIE Number might look: Y – 7654321 – A). Each NIE number is unique to one person and it is neither transferable nor does it expire. Here at my NIE Number, Spains number one NIE number booking website, we are able to get all your paperwork (EX-15 Form & NIE Number form 790) in place and book your online appointment at the Police Station in Benidorm or Alicante Fast. Our easy to use, no jargon online booking website and service makes the whole process of Obtaining your Spanish NIE Number easy, fast and most importantly cheap. click here to book your NIE Number Benidorm appointment today using our easy English language booking form. This is What your Spanish NIE Number Benidorm will look like. You don’t need a Benidorm NIE Number to visit on holiday. Benidorm (Spain’s answer to Blackpool) , who’s hotels boast over 35,000 beds and is catered for by over a thousand restaurants, is a very popular Spanish resort In the of the La Marina Baixa region of Spain, and one of the main Holiday destinations along the Costa Blanca area of Spain. Benidorm has amazing beaches and a variety of excellent Hotels, Hostels and Bed and Breakfasts. It also boasts amazing restaurants ranging from Traditional fish and chips to high end Paella and seafood joints. Benidorm also offers many recreational activities, including sky diving, water skiing and snorkelling, meaning it’s a hit with tourists from all over Spain, the UK and Northern Europe all year round. Benidorm is the perfect place to get your Spanish NIE Number and start working. Benidorm offers endless possibilities for sun kissed fun, games and recreation and you don’t need a Benidorm NIE Number for any of them! : From taking a nice long walk along the promenade in Altea (get your NIE Number in Altea) , swimming in the crystal clear blue waters off Levante Beach, water sports in its many bays, a boat excursion to the island of Tabarca, or a wander through Benidorm’s historic old town, perched on a rocky outlet, the old town is in great contrast to the wide avenues of the main tourist and commercial area of the town. Then there’s the Many local cultural festivals which seem to span every weekend in the summer, beautiful Foods and great shopping such as at La Marina. It is indeed one of the Costa Blanca’s biggest tourist attractions. 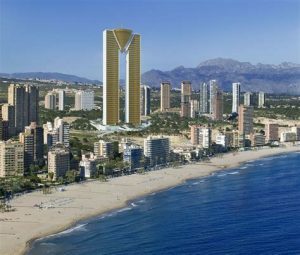 With its Hiwian style white beaches, crystal blue waters, all year round climate and great infrastructure have all gone to give Benidorm have granted this region. Also equipped with a great infrastructure of high-quality services its well-deserved its fame and fortune. 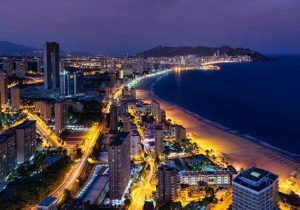 If your thinking of Moving to Benidorm to Live, the first thing you will need is a Benidorm NIE Number for tax reasons. Until you have this number its unlikely you will be able to get a job. Benidorm, even without a NIE Number, is what you want it to be: full of fun, with a fantastic nightlife, but it also allows peace and tranquillity with its charming rock gardens and secluded coves. Truly a place with something for everyone, it’s no wonder it’s so popular. Bars and restaurants are a plenty, as are nightlight and some more ‘interesting’ places that would suit Stag Parties. Do I need a Benidorm NIE Number to play Golf? You don’t need your Benidorm NIE Number to play golf in Benidorm. There are numerous top quality golf courses in and around the Benidorm area offering a good challenge to the serious, casual and new golfer alike. Should I get a NIE Number Benidorm to go to the Beach? You Certainly don’t need a NIE Number Benidorm to visit the Beach! Without doubt, the beaches are Benidorm’s main attractions. A 5km stretch of golden white sand coastline, intermingled with coves where you can enjoy a revitalising swim, as well as take part in water sports, like scuba diving, water skiing, windsurfing and sailing. To the north of Benidorm harbour, Levante beach is one of the most beautiful in the town. As a result of its location, it has easy access to many places and hotels, as well as 2km of fine white sands. These beautiful sands are joined by a busy promenade, filled with terraces, Bars and restaurants, which are very lively at night. To the south of the Benidorm, you find the beautiful Poniente beach, where 3km of beautiful scenery, hills and mountains can be found. You can also find the cross on top of the hill here. Like the Levante beach, Poniente has a great promenade and is accessible and convenient, with many facilities at hand. Between the Lavante and Poniente beaches, is a small beach called the Mal Pas cove. A calming cove of golden sands, close to the historic old town and the harbour. Removed from the main centre, these hidden natural coves and beaches allow the visitor to escape from the hustle bustle of the city and enjoy scuba-diving around the magnificent, rocky seabed. No NIE Number Benidorm required to explore the towns rich history. You don’t need a NIE Benidorm Number to enjoy the History of Benidorm. Benidorm’s historic centre is located on a rocky outlet, between the two main beaches – Levante and Poniente. This is the birthplace of Benidorm, a primitive fishing town, dominated by the church of San Jaime on the Hill. Built in the mid 18th century, its blue tiled domes rise among an intricate network of narrow roads and alleyways, filled with beautiful little corners, shops and bars. The top of the Canfali hills lead to the Balcony of the Mediterranean, a amazing viewpoint that presents a stunning panoramic view of the sea’s around Benidorm. Do I need a NIE Number Benidorm to visit modern Benidorm? No! On either side of the Old Town lay wide avenues and shopping streets that make up the rather more modern side of Benidorm. The Town, dependant on the tourist market, offers a range of services including hotels, restaurants, large shopping areas, discos and party pubs and terraces. 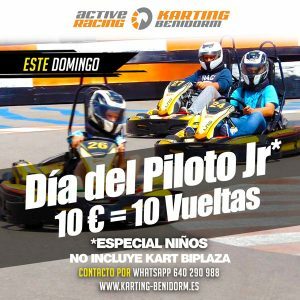 A NIE Number Benidorm is not needed for recreation in Benidorm. Benidorm’s recreational offerings are endless. From choosing to take a walk along the promenade or visiting the nearby park of L’Aigüera, to a Brilliant day in the Mediterranean Theme Park called Terra Mítica (famous for its wooden roller coaster). The city also has a number of sports centres, including a scuba Diving School and several swimming schools. Do I need a Benidorm NIE Number to go on an Excursion? No. Boat excursions to Benidorms little island – located in middle between Levante and Poniente– depart from the harbour every hour. It is thought Legend has it that the island is a piece of rock from nearby Mount Campana that brave Roland severed with his sword during the expeditions of Charlemagne. The diverse seabed makes it a scuba-diving paradise with many Ship Wrecks. If the theme parks don’t float your boat you can always go on a blanket tour. Called a blanked tour because the trip is free but they generally try to sell you a duvet or a blanket…. But Great for a free day out. You certainly don’t need a NIE Number Benidorm to visit its great restaurants. Seafood such as prawns and lobster, and rice dishes are the base of the local menu’s. Paella is one of the main dishes, as are shellfish, grilled fish, fried, stewed, or in Benidorm soup. Garlic and olive oil are the main ingredients of ali-oli sauce, which accompanies many dishes and for dessert lovers, try a almond cake, turrón or home-made ice cream. A range of different ice creams have sprung up in recent years, including gin and tonic and Chocolate mint. Wines, with Designation of Origin – Alicante (the prestigious seal of quality and origin given in Spain to select wines and products) should certainly be tried. Misteleta (a sweet dessert wine) and horchata (a drink made from tiger nuts, the sort that grows on Trees), are both typical of the region. Benidorm is one of the worlds happiest and festive town; the local holidays honour the Virgin of Sufragio and Saint James the Apostle. The party begins on the second Sunday of November and offer a varied programme, including floats, theatre performances, and a fireworks Display. You do not need your NIE Number to enjoy the Benidorm Fiestas. A couple of days later, the Fiesta de la Carxofa – a traditional affair – takes place in the Old Town. Other celebrations worth mentioning are the Bonfires of San Juan and the Muslims and Christians festivities, both in June. The outskirts of Benidorm are a beautiful area to visit. To the north of Benidorm, the terrain becomes rough, with sierras and cliffs all the way into the sea. In this area lay the towns of Alfàs del Pi, and Altea. If your living in either Alfaz De Pi, Altea or Albir and need your NIE Number your nearest police station will be Benidorm. In addition, next to the Peñón de Ifach Nature Reserve is the town of Calpe, a amazing town that has mixed the conservation of its monumental heritage with its increasing tourism market. If your thinking of moving to Calpe and need your NIE Number again, your nearest Police station will be Benidorm. To the south of Benidorm you find the tiny town of Villajoyosa, the capital of Marina Baja. Crossing the Sierra Aitana, the northern interior provides an interesting journey through Cocentaina, an important town in medieval history, and Alcoy, a place made famous for its Muslim and Christian festivals. For this reason it was declared a place of ‘International Touristic Interest’. If you thinking of starting a business or moving to Vilajoyosa you will need your NIE Number. Our staff will be happy to book you into Benidorm police station to get your NIE Number today. Finally, in the Alicante Mountains we recommend a visit to the Carracal de la Font Roja Nature Reserve. So you have your NIE Number in Benidorm. What’s the weather like? Its hot all year around so Getting your NIE Number is an advantage. Benidorm benefits from a temperate climate all year round. Cooled by sea breezes from excessive heat in the summer, and remaining mild throughout the winter. You wont need your Spanish NIE Number in Benidorm to visit the old town and the Gay Area. Benidorm has a very vibrant Gay Scene with the Gay nightlife mainly concentrated in the streets of the Old Town between Levante and Pointe beach. Some great bars to visit include Casper’s, Mercury and West end show bar. Like Pet Shops? Benidorm is a pet lovers paradise with pet shops on most roads. From small fluffy puppies to huge parrots and snakes a Pet lovers paradise is on every corner. nb: MY NIE Number Spain does not recommend buying a puppy from a pet shop IN Benidorm. You should always see it with its mother. 1.) 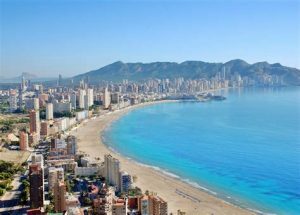 Benidorm was unsurprisingly Spain’s first seaside resort for package holidays when the then mayor, Pedro Zaragoza decided to transform the sleepy fishing village of the 1950’s into a major tourist holiday resort. He allowed bikinis on the beach and 7 decades later the town attracts more than 7m visitors a year. When Pedro Zaragoza was in power the NIE Number didn’t exist. 2.) Benidorm’s traditional drink of Horchata is not actually Spanish but was brought to the country by Muslims centuries ago. With its ingredients of Tiger nuts, sugar and water you can buy it in supermarkets or sample the real stuff at many cafes. 3. 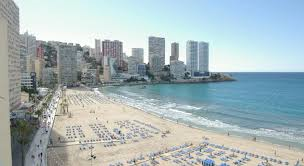 )There are two main beaches at Benidorm; Levante in the new town and Poniente in the old town. You don’t need a Spanish NIE Number to visit either of these beaches. 4. )The Met Office considers Benidorm to have one of the best climates in the world health wise thanks to its warm temperatures, low rainfall and clean air. Those with Asthma and Arthritis is particular will feel the benefits of life in this area. 5.) Only Milan and London boast more skyscrapers than Benidorm. The Gran Hotel Bali is the tallest hotel in Europe standing at 186m high. Here at my NIE Number we like to get out and meet our customers. Today we meet Darren and Steve who opened a bar in the old town of Benidorm in March 2017. We decided to ask them how they found our service and any improvements we could make. Q: What was your experience of getting your NIE Number in Benidorm Spain Like? How did you hear about our service? A: We was recommended to MY NIE Number by a friend of ours who saw the service advertised on Facebook. We was really happy with the service. We put our details into the online NIE Number booking website and within a few hours we had a call with a date and time to attend the police station. Q: Would you recommend our NIE Number service to other people in Benidorm? A: Yes, absolutely. we found your online NIE Number Benidorm service really quick, useful and the jargon free guide you sent us really helpful. Q: Do you think there are any improvements we can make to our NIE Number service for the Benidorm Region? A: The only bit we found complicated was paying the NIE Number tax at the bank. Maybe some more details about that would be good. Read more about what does a NIE Number cost. How to pay your NIE Number Tax. Response: Thank you for your feed back on that matter. We have now made changes to our eBook information about NIE Numbers so it makes the system of paying the tax at the bank simple. 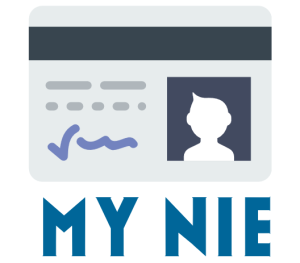 How to pay your NIE Number Tax. Q: Would you recommend our NIE Number service to other people? More Customer reviews who got their NIE Number in Benidorm, Spain. When we first moved to Benidorm we had no clue that we needed to get a NIE Number. We went to the police station and they told us we had to make a NIE Number appointment online. We found your service on Google and couldn’t have been happier. We was booked into our NIE Number appointment in Benidorm the next week and had our NIE Number certificate within a week. We would highly recommend you to our friends and customers. Q: I live in Benidorm but I have lost my NIE Number certificate can you get me a replacement? Q: Do I need to take passport photo’s with me for my NIE Number appointment in Benidorm? A: Yes, you will need to take two passport sized photos to your appointment. Read more about passport photos and NIE Number appointments on our blog. Q: I’m a EU Citizen, why do I need a NIE Number to work in Benidorm? A: Even as an EU citizen you will still need a NIE Number to work, buy property or obtain some services in Benidorm. Our friendly team can get your appointment sorted today. Visit our home page or book today using our simple form. Click here to read more about NIE Numbers for EU Citizens. Q: I need my NIE Number in Benidorm really FAST. Can you help me? A: Yes, our friendly staff can help you get your NIE Number in Benidorm in the shortest amount of time. We are Experts at getting your NIE Number paperwork completed fast. 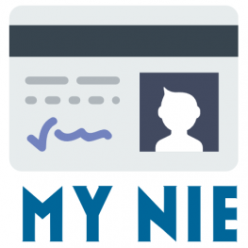 Click here to read more about getting your NIE Number fast. Q: I want to fill in the NIE Number forms and book the appointment my self. Can you send me translated NIE Number forms? A: Unless you have a good grasp of written Spanish and some understanding of the Spanish CITA PRIEVIA booking system we do not recommend attempting to complete the paperwork your self. Time and again we hear stories of people who have attempted to do this their self, made mistakes and been sent away from their NIE Number appointment in Benidorm without their certificate. Please be aware that English translated NIE Number forms will not be accepted at Benidorm Police Station. Read more about English Translated NIE Number forms. Q: Will my NIE Number from Benidorm Police station Expire? 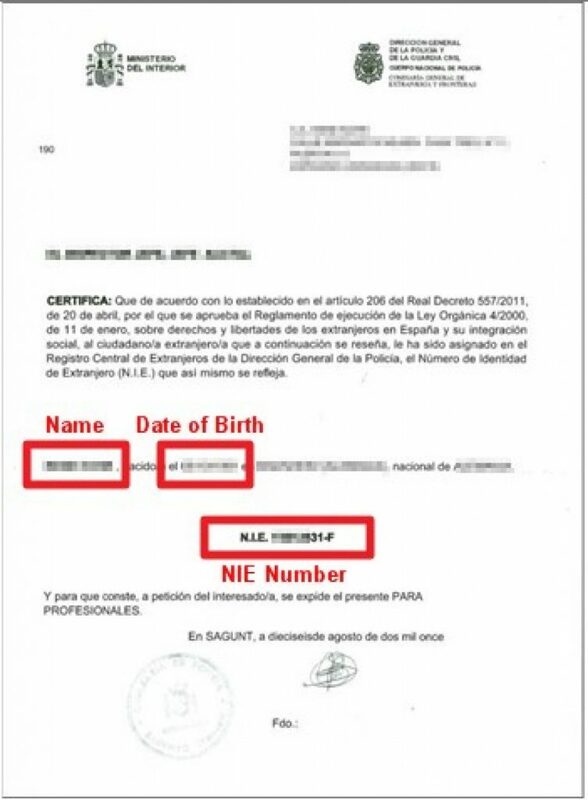 A: NIE Number certificates issued at Benidorm police station after 2016 will no longer have an expiry date. Your number will be with you for life and will not change. Read more about do NIE Numbers Expire on our blog. Q: I’m moving to Benidorm with my Children. Do they need a NIE Number? A: Its highly unlikely that your child will be asked for a NIE Number in Benidorm. However we have heard from people that some private schools in the Benidorm area have asked for a NIE Number from Children. If you require a NIE Number Benidorm for a child please let us know. Read more about NIE Numbers for Children in Spain. Q: I’m living in Benidorm. Do I need a NIE Number to connect to the internet? A: Most internet companies in Benidorm will connect you without a NIE Number. However, having a NIE Number makes life in Benidorm much simpler. Use our easy English Language booking form today to get yours. Read more about connecting to the internet in Spain without a NIE Number. Q: How do I find the Benidorm Police station when I have my NIE Number appointment? Q: Will Brexit affect my NIE Number in Benidorm? A: If you obtain your NIE Number pre-Brexit you shouldn’t have anything to worry about. Read more about Brexit and NIE Numbers on our Blog. Q: Is a NIE Number Benidorm a Legal requirement? A: If your planning on working in Benidorm, or intend to stay for longer than 3 months you will need a NIE Number. Check out our home page to find out how you can get your Benidorm NIE Number today. Or read more about legal requirement NIE Numbers. Q: What is the cost of getting my NIE Number Benidorm? A: Here at MY NIE Number Spain we have a flat cost of £20 to obtain your NIE Number in Benidorm. This includes filling in all the NIE NUMBER BENIDORM FORMS, and booking your Appointment at the Police Station. Once you have filled out our easy booking form you should be booked in within 24hrs. Q: I’ve been refused a NIE Number in Benidorm. What can I do? A: In the unlikely event that you are refused a NIE Number appointment in Benidorm our NIE Number experts can advice you more on what else you may need to take with you and book you a new appointment free of Charge. Read more about being refused a NIE Number. Need a Spanish NIE Number in Madrid? Do you need a Urgent NIE Number? Thanks for sorting my Benidorm Nie Number quickly! Saved my job offer! Hola! I have just arrived in Benidorm. I have accommodation sorted and I have a job offer but now I find out I need a NIE Number before I can start work. Is this Right? Is there anyway around it? I have a big problem I basically need my NIE Number by Monday. Can you help? I’m in Benidorm, Spain. Hi June. The wait in Benidorm for NIE Numbers is currently about 6 weeks. If you need your NIE NUMBER in BENIDORM fast we can book you in then hopefully move you forward when a cancelation comes in? If you would like to go ahead please use our NIE Number booking form and someone will give you a call. We are thinking of Moving to the Old Town part of Benidorm in September. We are just starting to look for jobs. Can you provide us with our NIE Numbers in Benidorm before we arrive? Hi, we are thinking of moving over to try Benidorm for a few months before we finally decide to move there or not. We are going to be looking for some cash in Hand work. Do you think we will need a NIE Number anyway? Hi Jackie. I would not advice working in Spain without a NIE Number in place and being registered with the TAX authority in Spain. If you would like to work legally we can provide you with a NIE Number appointment for the week you arrive. Please use our easy English booking form and one of our staff will be in touch soon. HOLA LISA! just a quick note to say we picked up our NIE Numbers this morning from Benidorm police station went like clockwork. Was out of there by 10am 🙂 went back and picked up our certificates this afternoon. Thank you for your great service. Well congratulations on your new NIE Numbers in Benidorm! We hope you enjoy Spain for many years to come. Lisa and the NIE Number team. Hi, we have literally just arrived today in Benidorm from wales in the UK and need to start work ASAP. We need our NIE NUMBERS really fast. Can you help? Do I need to go to the police station in Benidorm to get my NIE Number? This is a great website. One quick question. we arrive on the 15th September in Benidorm. Are there any NIE Number appointments available in that week? We arrive in Benidorm tomorrow were so excited. We are looking to move over to Spain but at the moment we are just looking about. If we decide to move to Benidorm we will certainly come to you for our NIE Numbers. Me and my husband are planning to move to Benidorm Next year but we are on Holiday this August 20th-24th in the Old town. Would it be possible to get our NIE Numbers while we are in Benidorm?